“Deathbeds” is one of three bonus tracks that will be available when Sempiternal officially hits stores April 2. Today the band partnered up with Alternative Press to stream the song “Deathbeds”. 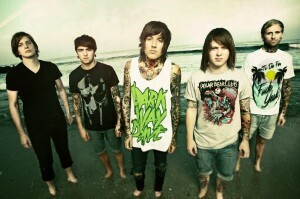 The song features guest vocals from Oli Sykes’ girlfriend Hannah Snowdon. You can take a listen to the new song by heading right here. Pre-orders are still available in both the UK and US. You can purchase your very own pre-order bundle by heading to Epitaph Records. The band is currently in Europe & the UK, then will be embarking on this year’s Warped Tour starting June 19. Be sure to head over to the band’s Facebook page for a list of upcoming tour dates to see if they will be playing in your city.